This entry was posted on May 8, 2015 by Jessica Anderson. 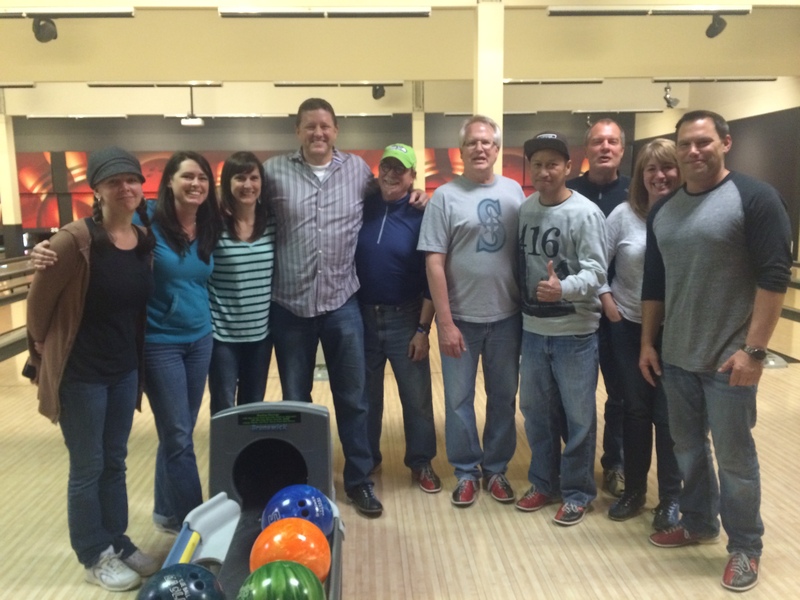 To kick off our spring busy season, the Trophies2Go team gathered for a night of bowling and beers to celebrate Cinco de Mayo! We had a relaxing time of beer, food, shuffleboard and bowling. Teams were "Boys against Girls" and even though two of our girls brought their own bowling shoes, the boys still managed to beat us. Trophies2Go staff bowling with beers. 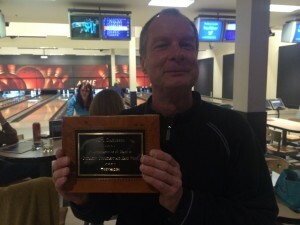 In addition, Jeff presented our Years of Service Awards, which happens each May. We celebrated each of our staff's contribution to our business, with awards at years 1, 3, 5, and 10. The big anniversary this year was our engraver Paul's 10th year with Trophies2Go! Wow, what an accomplishment! Paul is an outstanding engraver because he is extremely meticulous, working hard to ensure accuracy with every order. He has a great eye for design, laying out words in a way that is aesthetically pleasing. He also works well with customers, creating awards exactly the way the customer wants. Paul's dependability is second to none, and he is an extremely important person on the Trophies2Go team. Thank you Paul for your 10 years of service to our company! Our staff is ready for our busy season to begin! Bring on the orders!